* Achievement Award and gift of $3,000 from the Sui Generis Foundation for Shared Ground's "one of a kind" contribution to the arts and the East Bay community. 2014. 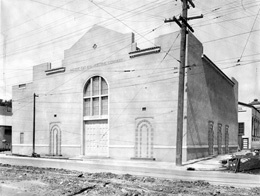 * Partnership in Preservation Award by the Oakland Heritage Alliance, for the exhibit, Reading History: Temescal Branch Library Celebrates 90 Years. Oakland, 2009. * In recognition of Shared Ground's work over the past ten years, Jeff Norman was selected as Best Neighborhood Activist by the East Bay Express in its "Best of the East Bay 2007" issue (May 2, 2007). * Alameda Countywide Clean Water Program, Stewardship Grant for the book, Temescal Legacies: Narratives of Change from a North Oakland Neighborhood. Oakland, 2005. * City of Oakland's Cultural Arts and Marketing Department, Individual Artist Project Grant for the book, Temescal Legacies: Narratives of Change from a North Oakland Neighborhood. Oakland, 2004. 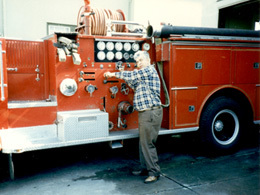 * Commission by the City of Oakland to create the outdoor public art project, Fire Station 8 History Walk. Oakland, 2003. * City of Oakland's Office of Crafts and Cultural Arts, Individual Artist Project Grant for PostMark Temescal. Oakland, 2001. 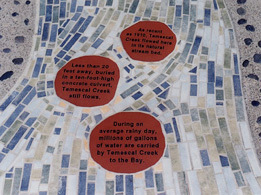 * East Bay Community Foundation Grant for PostMark Temescal. Oakland, 2001. * Clorox Foundation Grant for PostMark Temescal. Oakland, 2001. * Partnership in Preservation Award by the Oakland Heritage Alliance, for Beyond the Pussycat: Nine Lives of a Neighborhood Landmark. Oakland, 2000. * City of Oakland's Office of Crafts and Cultural Arts, Individual Artist Project Grant for Beyond the Pussycat: Nine Lives of a Neighborhood Landmark. Oakland, 1999. * Oakland Metropolitan Chamber of Commerce, Individual Artist Award for the Temescal History Project. Oakland, 1998. 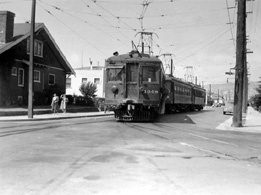 * Oakland Heritage Alliance, Partnership in Preservation Award for the Temescal History Project. Oakland, 1997.